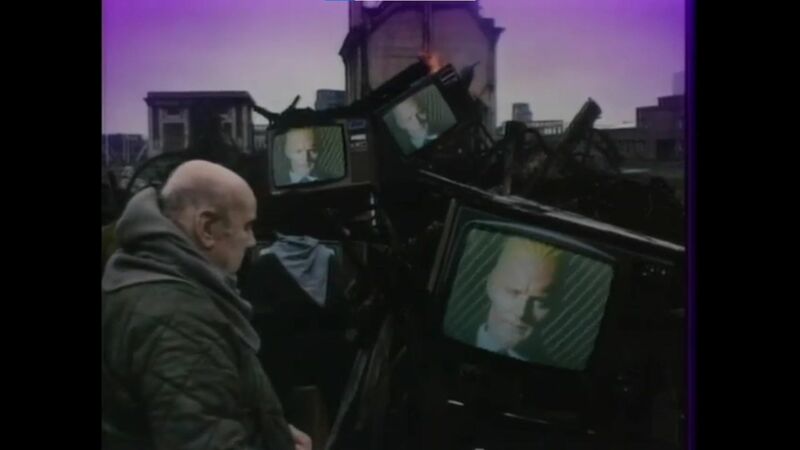 Here's where to watch every episode of Max Headroom season 1. Mouseover or tap an episode to see where to stream it. Click or tap the play icon to stream it on the best available service. Blipverts Mar 31, 1987 In the near future, when TVs can't be shut off and ratings are all that matter, investigative reporter Edison Carter and his computer-generated alter ego Max Headroom battle to keep the "blank" generation informed. In the opener, Carter stumbles across his own network's cover-up of a sometimes deadly new form of TV advertising called "blipverts". Rakers Vengeance Apr 7, 1987 Theora goes AWOL when she learns her estranged brother is involved in the brutal and dangerous ""sport"" of raking, which the promoters are trying to have legalized and televised. Body Banks Apr 14, 1987 Breughel and Mahler are stealing live bodies from the Fringes and selling them to Nightingales Body Bank. The wealthy Plantaganet wants pituitarys from the bodies for an operation which could save his aging mother. While Carter races to save a Fringer girl's life, Cheviot is more concerned that Max is offending Network 23's biggest sponsor, ZikZak, who have decided to buy him. Security Systems Apr 21, 1987 Carter is accused of credit fraud and becomes a fugitive after delving into the hostile takeover of Security Systems, the world's most powerful corporation. War Apr 28, 1987 In the middle of a global ratings sweep programmer packager Frank Braddock tries to sell Network 23 a package covering the activities of a terrorist group, the White Brigade. Edison and Murray become suspicious when Breakthru TV, who have bought the package, start broadcasting terrorist bombings as soon as they occur. The Blanks May 5, 1987 As the ""blanks"" -- undesirables with no computer records -- are rounded up and arrested, the networks face permanent cancellation by hackers who threaten to crash the city's entire computer system if their companions aren't released.